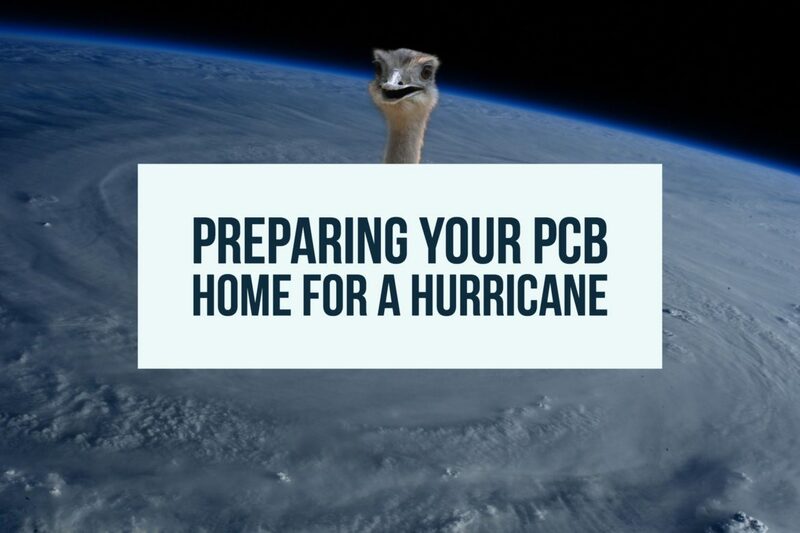 If you own a home or condo in Panama City Beach or if you are searching the Panama City Beach real estate market in hopes of finding a new beach home, then it is important to make yourself familiar with the following regarding preparing your beach property in Panama City Beach for a hurricane. Florida is a wonderful state full of beautiful beaches and sunshine, but the reality is that there is an annual hurricane season that arrives every year in late summer and stays throughout the fall. Hurricane Irma devastated the coast in 2017 and should serve as an unpleasant reminder of how critical it is to plan for Florida’s hurricane season in regards to your property. You should take the time to sit down and review and renegotiate your home insurance policy on an annual basis and make sure that you have flood insurance in addition to basic home insurance. Also, you should confirm that your policy would cover the costs necessary to completely rebuild your home. Unfortunately, some hurricanes can blast through a property leaving you only with the option to rebuild instead of to just repair. Go to Lowes or Home Depot and get a supply of plywood or drywall to have on hand. This will save you the hassle of running out with the masses to get supplies to cover your windows when news of a hurricane comes up. These items are large but slim and easy to store along the back wall of your garage without taking up too much space. Do a quick cleanup outside. Move any brush away and prune / trim trees that have branches close to your house. Also, go ahead and store those lawn chairs and beach umbrella. While these items seem minor, with the force of hurricane winds behind them, they become very dangerous and can do serious damage to your property. Prep your home with items such as head and foot bolts for your doors, hurricane roof straps for your roof (also get it inspected for loose shingles once a year), and a hurricane rated garage door. Regular garage doors can be the flimsiest part of a structure and as a result can be obliterated in seconds by a nasty hurricane leaving the contents of your garage completely vulnerable. These items require an investment but are quickly worth the expense if they can prevent serious damage during a storm. Most importantly, listen to what your local and state authorities advise. Your property is important and for many represents their largest investment, but YOU are much more important. If the state issues warnings and evacuation requirements, heed them and get out of there. No home is worth putting your life at risk for. If you stay behind, you won’t be able to fight the storm back just because you are there.